Root vegetables are a wonderful, seasonal way to get your veggies. Some root vegetables, such as carrots, make a regular appearance on most dinner tables, while others are often overlooked. Although many people shy away from root vegetables, they make a delicious addition to your meals with the proper cooking techniques. 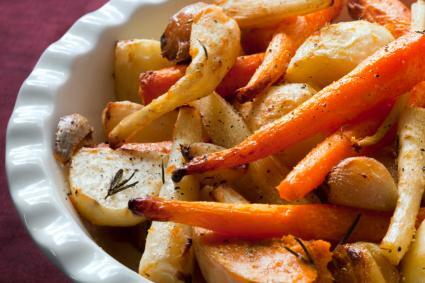 Roasting root vegetables brings out deep, warm, satisfying flavors. When you roast root veggies with some oil and herbs, you'll wind up with a deeply caramelized main dish or side dish. You can roast root vegetables by themselves, in conjunction with other root vegetables, or alongside a roast, chicken, or turkey. This delicious recipe yields a chicken with a dark, crispy crust as well as flavorful root vegetables. Season the bird inside and out with salt and pepper. Place onion, garlic, rosemary, thyme, sage, and lemon in the chicken's cavity. Place chicken in a large roasting pan, breast side up. Roast chicken for 60 minutes. While chicken roasts, toss turnips, carrots, and potatoes with olive oil. Season with a little kosher salt and black pepper. When chicken reaches 165 degrees in the breast, remove from the oven. 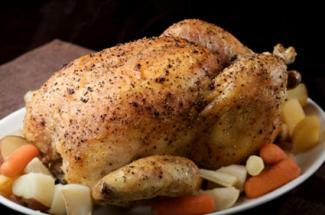 Remove chicken from the roasting pan and set aside on a cutting board, tented with foil. Allow to rest for 30 minutes while the vegetables cook. Remove all but two tablespoons of drippings from the roasting pan. Add the root vegetables, stirring to toss with the drippings from the chicken. Return to the oven and cook for 30 minutes, stirring once during cooking. Remove vegetables from oven and place in a bowl. Using a garlic press, press one clove of garlic over the vegetables, tossing to combine well. Serve vegetables alongside the chicken. Many people think they don't like beets because all they've ever had are canned or poorly cooked beets. 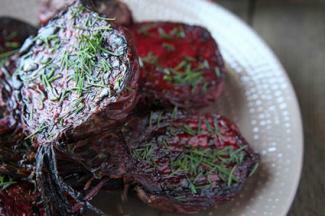 Roasting beets deepens the flavors, giving them an earthly, slightly sweet, complex character that is quite delicious. Toss beets with olive oil, thyme, salt, and pepper. Roast for 30 to 40 minutes, turning twice during cooking, until beets are tender. While beets roast, heat balsamic vinegar, sugar, and orange zest in a small pan. Simmer over medium-high heat until it reduces to a syrup consistency. Pour over warm beets and serve. Root vegetables have a starchy texture when cooked that lends itself well to flavorful purées. If you are worried about the flavor of root vegetables, a purée is a great way to adapt the flavor, adding ingredients you really like. Use purées as a tasty sauce or side dish, or to thicken soups. You can purée in a blender or food processor, or you can use an immersion blender. Be very careful when puréeing hot foods. Place a towel between your hand and the lid of the blender or food processor, and vent steam as you process. 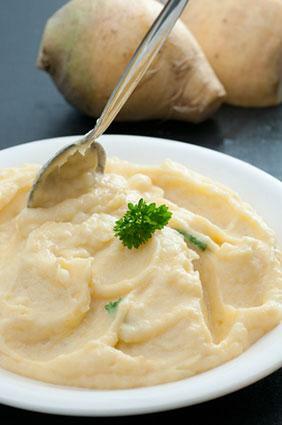 This purée has butter, onions, and cream, making it a rich side for meat or poultry. Add onion and rutabaga. Allow to sit in contact with pan until liquid evaporates, about four minutes, before stirring. Continue to cook onion and rutabaga for about eight minutes, stirring frequently. Add vegetable stock and thyme. Cover and allow to simmer until rutabaga is soft and mashable, about 25 minutes. Carefully pour all ingredients into a food processor or blender. Process until smooth, adding cream gradually to adjust to desired consistency. Taste and season with salt and fresh cracked black pepper as needed. 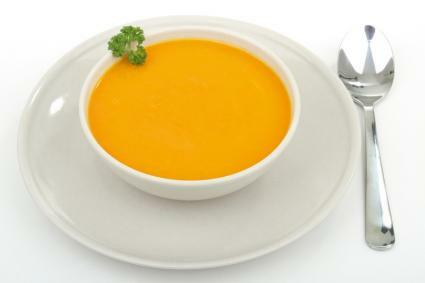 Fragrant with ginger, this carrot soup is simply a thinner version purée. It makes a wonderful starter or vegetarian main course. Add carrots and onion. Cook until onions are soft, about five to 10 minutes. Add stock, ginger, and orange zest. Bring to a simmer and cover. Cook until carrots are soft, about 20 to 25 minutes. Remove strips of orange zest. Purée soup in a blender or food processor until smooth. Braising is a method of slow cooking using a small amount of liquid. Braising yields tender, flavorful root vegetables, particularly when combined with herbs. 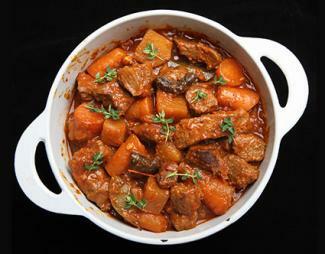 You can braise vegetables alone or with a stew or meat dish. While many people eat radishes raw in salads, braising them is a tasty alternative. Melt butter in the bottom of a medium-sized saucepan over medium-high heat. Add radishes and turnips. Cook, stirring occasionally until outsides begin to brown a little, about ten minutes. Add water or stock to come up to about halfway on the vegetables. Bring liquid to a simmer. Lower heat to medium-low. Cover and cook until vegetables are tender, about 20 minutes. Uncover and reduce liquid to create a glaze for the vegetables. This hearty dish makes a great winter supper. In a large, ovenproof pot, cook bacon over medium-high heat until crisp. Remove bacon from fat with a slotted spoon and set aside. Liberally season beef with salt and pepper. Working in batches, brown beef on all sides in bacon fat. Remove from fat with a slotted spoon and set aside. Add onion, parsnips, and carrots to fat in pan. Cook until vegetables are well browned, stirring occasionally, for about eight minutes. Add garlic and cook until it is fragrant, in about 30 seconds. Add tomato paste to vegetables and cook until it is browned, for about four minutes. Add flour and cook until it is golden, or about three to four minutes. Stir in red wine, using a wooden spoon to scrape all cooked bits of food off the bottom of the pan. Add chicken broth, sweet potatoes, bay leaves, thyme, and pearl onions. Return beef and bacon to the pan. Bring stew to a simmer, stirring constantly. Cover tightly and transfer to the oven. Cook for an hour and a half, until the meat is tender. Skim fat from the top of the stew and serve hot. Incorporating root vegetables into your meal rotation is a great way to use affordable local and seasonal ingredients. With the right cooking techniques, these veggies are approachable and delicious.